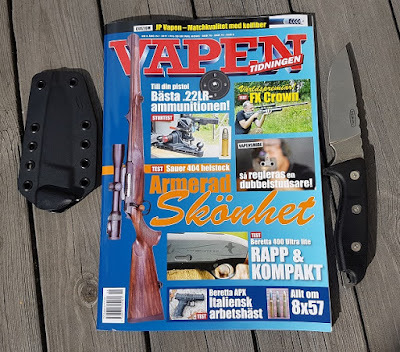 Inside the new issue of Vapentidningen (No.6 - 2017) you'll be able to read about the knife model Mikov Patron; a nice new piece of cutlery from an interesting Czech manufacturer. The model Patron has been well received by Goverment, Bushcraft and Hunting personnel. 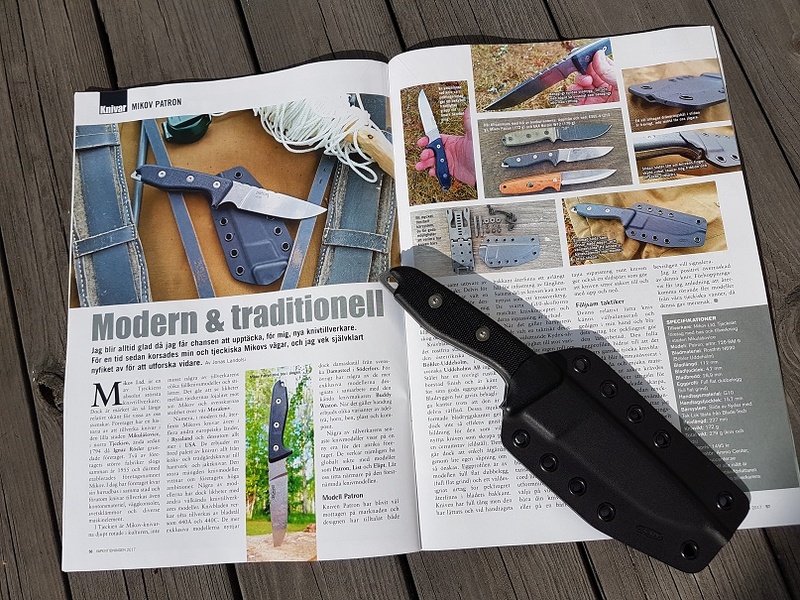 Besides a robust and well balanced knife the system also comes with a Kydex sheath accompanied by gear from the American manufacturer Bladetech consisting of a Tek-Lok clip designed by Mr. Robert Terzuola and Mr. Tim Wegner. Also inside this issue of the mag you'll be able to read articles like; Beretta A400 Ultra Lite (Tobias Hassel), .22 LR ammo (Åke Nordin) and bow hunting (Ulf Backman). 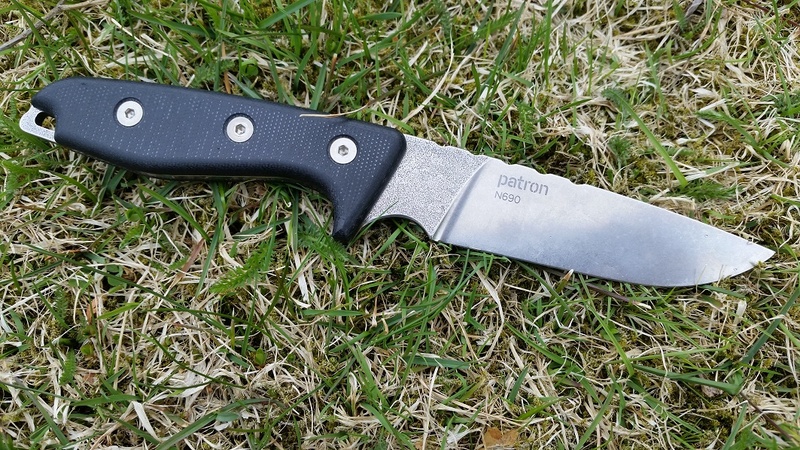 If you're new to the Mikov brand I can recommend you taking a closer look at the manufacturers different knife models. The Mikov Patron surprised me in a good way.